it has converted the existing broadband plans to daily data plans. The BSNL FTTH plans which now got a revision are Rs 777, Rs 1,277, Rs 3,999, Rs 5,999, Rs 9,999 and Rs 16,999. BSNL is offering up to 170GB of data per day with speeds of 100 Mbps. This change from BSNL is already effective on a pan-India basis. Even if you’re an existing user, your plan will be converted according to the new revisions. Last year, the Internet Service Provider (ISP) had converted its non-FTTH broadband plans to offer daily data, and the move did not go well with the broadband users of BSNL. Alongside the revision, BSNL has given new names to its FTTH plans. The BSNL Fibro Combo ULD 777 plan will now be called as ’18GB Plan’ as it offers 18GB of data per day with speeds up to 50 Mbps and 2 Mbps beyond the FUP. The price of the plan per month is Rs 777 excluding taxes. Moving onto the Fibro Combo ULD 1277 plan, it’s now called ’25GB Plan’ because it ships 25GB data per day at 100 Mbps speeds, and post the FUP, speeds will be reduced to 2 Mbps. The Fibro Combo ULD 3999 or ’50GB Plan’ now provides a user 50GB data per day at 100 Mbps speeds and 4 Mbps beyond the FUP limit. BSNL’s Rs 5,999 FTTH broadband plan has been revised to offer 80GB data per day at the same 100 Mbps speeds and the speeds will be capped to 6 Mbps after the FUP. Lastly, we have the Rs 9,999 and Rs 16,999 broadband plans which now offer 120GB and 170GB data per day at 100 Mbps speeds. The Rs 9,999 plan offers after FUP speeds of 8 Mbps, while the Rs 16,999 plan comes with 10 Mbps speeds. Alongside the data benefit, BSNL is also providing unlimited voice calling to any network with the FTTH plans mentioned above. However, do make a note that BSNL is not providing FTTH service in most of the places, so check for the availability by contacting the company first. Last week, Bharat Sanchar Nigam Limited has introduced a new ’40GB Plan’ of Rs 2,499 which sits between the Rs 1,277 and Rs 3,999 FTTH broadband plans. As the name itself suggests, the Rs 2,499 broadband plan from BSNL comes with 40GB data per day at 100 Mbps speeds, followed by the after FUP speeds of 2 Mbps. The 40GB Plan from BSNL also comes with unlimited voice calling benefit to any network across the country. BSNL has introduced the plan in all the circles where it’s providing FTTH services. 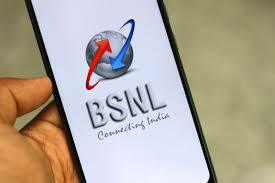 Last year in December, BSNL has made its first major move in the broadband segment by converting its basic plans priced below Rs 2,500 to offer daily data limit. The ISP has increased the price of BB249 broadband plan to Rs 299 and started offering 1.5GB data per day at 8 Mbps upload and download speeds. It also revised other basic broadband plans such as Rs 675, Rs 845, Rs 999, Rs 1,199, Rs 1,495 and Rs 2,295 to offer daily data with up to 24 Mbps speeds.